This is an on going problem and you can pick up people complaining about them on Helloo Peter and African Complaint..... Naedo debiting my account for a amount of R 1326.37 for what???????? 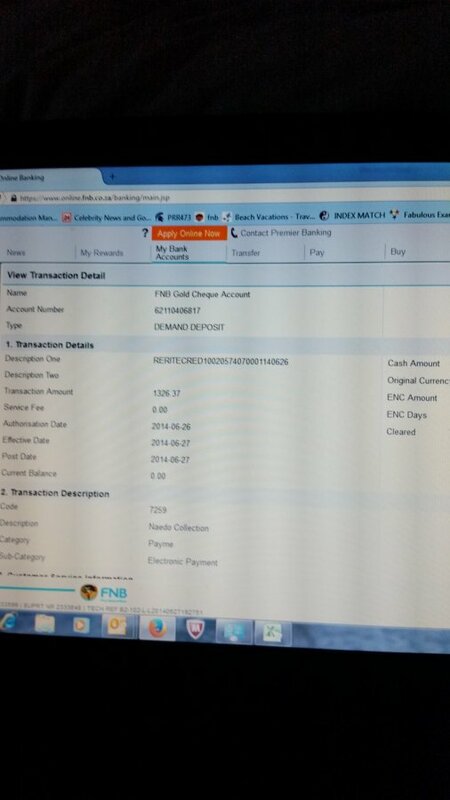 and FNB do not want to reverse this transaction! We as Consumers have no protection from the Banks we bank with and Naedo do their own thing, something needs to be done about this!! !